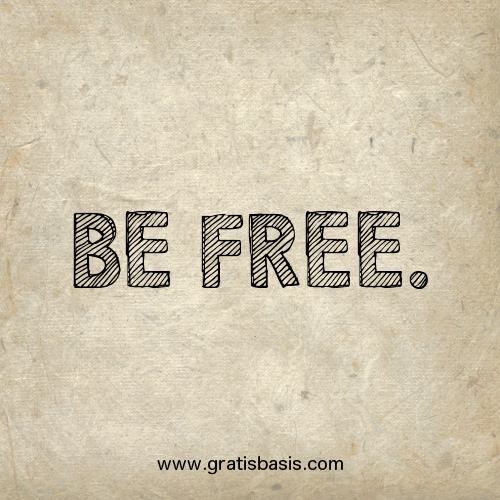 Why do we make it so difficult for ourselves to be simply free? We buy into the collective notion that we all have to have our share of suffering, otherwise it’s not fair. We believe we have to ‘earn’ our way to success and freedom. That concept of ‘earning’ is through hardship and suffering. We are raised to believe in hardship for rewards. It is true that a small group of people in power want us to believe in all that, but we are the ones who are actually supporting that idea even though we don’t like it. We don’t have to support it. We can actually create a different reality, if we all realize that it is possible to do so. All we have to do is to wake up and realize that it is possible to do so. It’s that simple. That’s why I’m optimistic. Because I see more and more people are waking up now all around the world. Imagine that we are all awake, and visualize what kind of wonderful world it will be. Now hold that thought and the feeling for as long as possible. Before you know it, it will manifest!